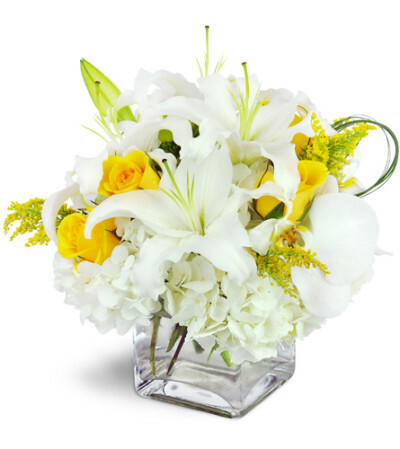 Pure, zen-like white blooms are accented with bursts of bright yellow in this stunning, chic arrangement. Exotic white cymbidium orchids bring this display right up to the heights of elegance and luxury! It's an extravagant treat that's sure to delight. 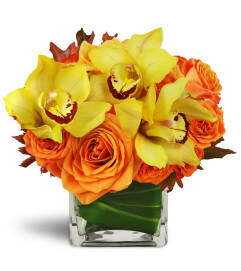 White cymbidium orchids, lilies, and hydrangea are accented by stunning yellow roses and a twist of bear grass for a modern gift. Such a lovely store, great service. The flowers I ordered were exactly what I had requested. My sister called to say how much she liked them. Very happy with my experience. 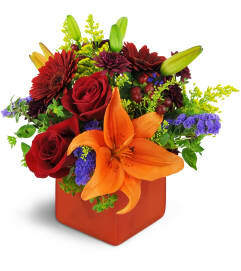 Scent From Heaven Floral is a Lovingly Florist in St. Ansgar. Buying local matters. Discover how Lovingly supports local florists. Copyrighted images herein are used with permission by Scent From Heaven Floral.